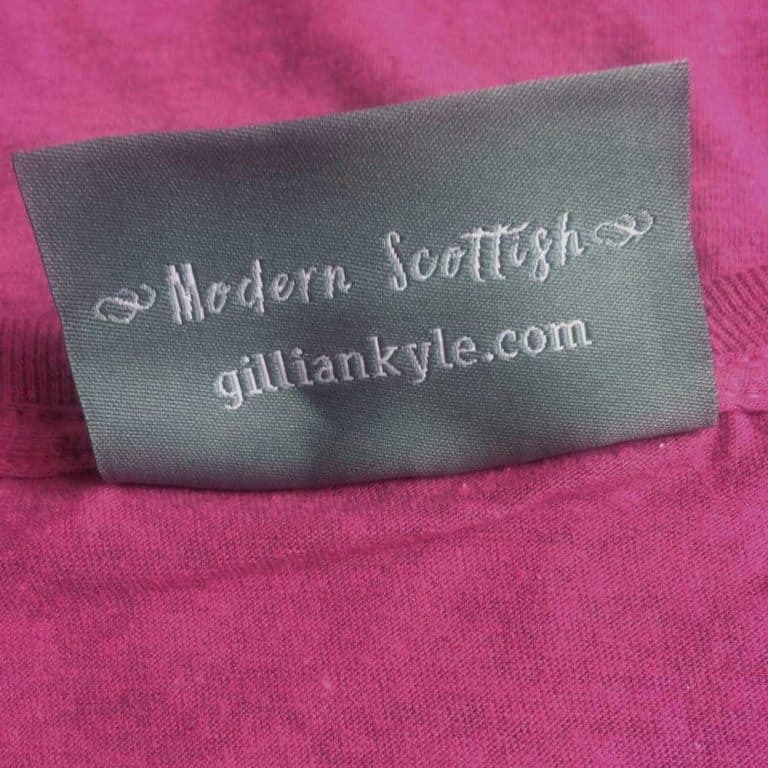 One for the lassies. 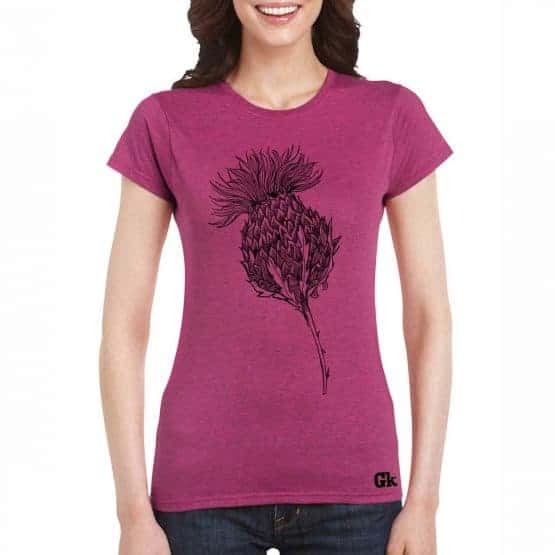 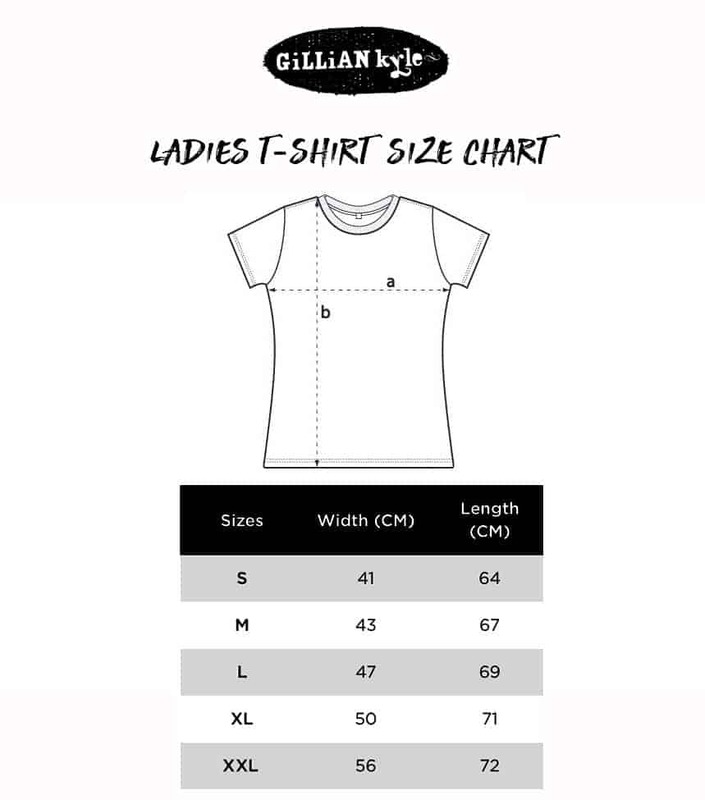 This cotton top is printed in Scotland (Glasgow to be precise) with Gillian’s ‘Flower of Scotland’ Scottish Jaggy Thistle design in stylish black on a beautiful heather rose t-shirt.This understated Scottish ladies tee shirt looks great with jeans and is the ideal top to wear supporting our national teams too! 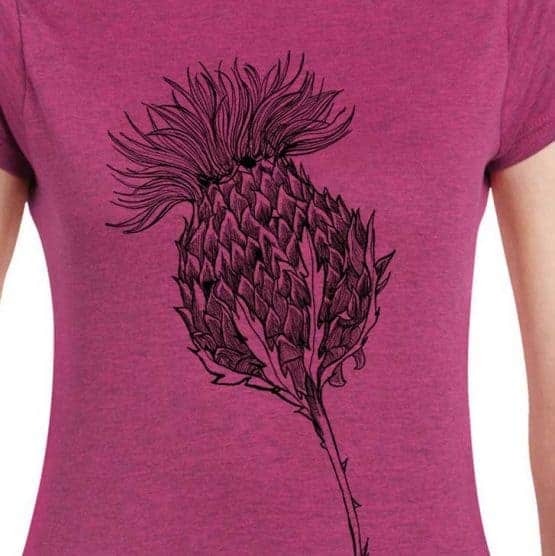 Check out the rest of our range of organic cotton tees – unique, modern Scottish designs and brilliant presents for men and women alike. Great for Valentine’s Day gifts, Mother’s Day, Father’s Day, Christmas presents and Scottish birthday gifts. This product is also available in a classic white, or in a subtle shade of charcoal. 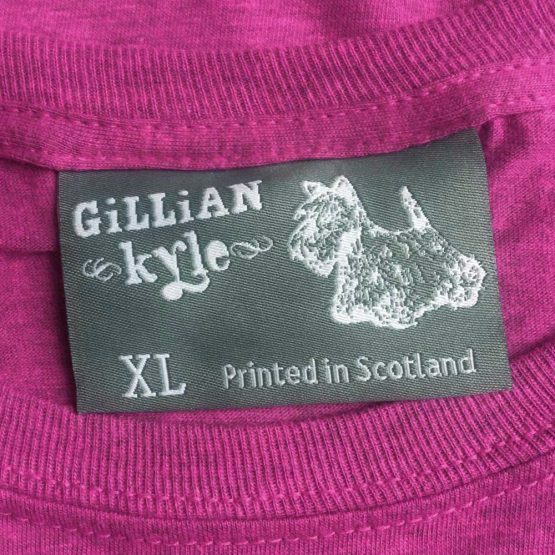 Jersey t-shirt in cotton mix pre-shrunk ringspun jersey. 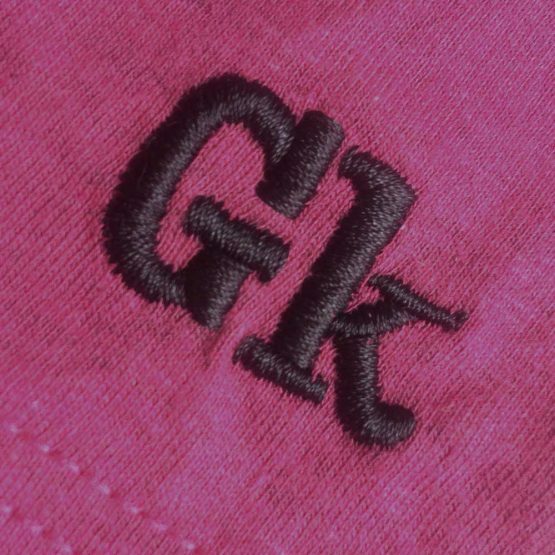 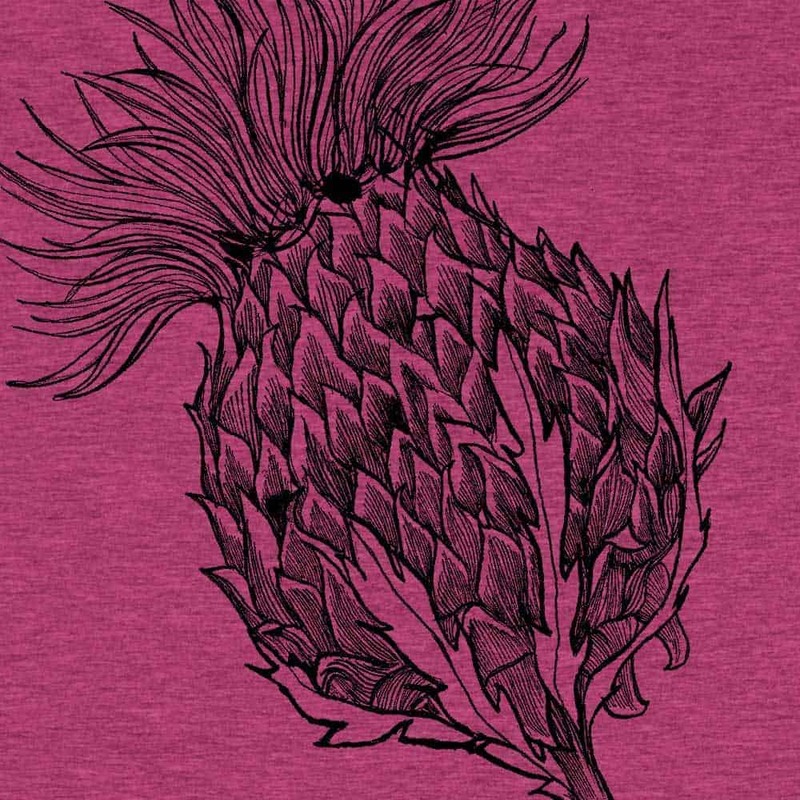 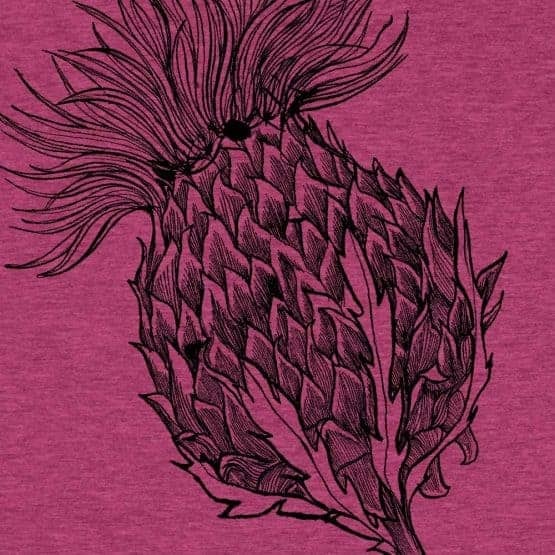 Our ‘Jaggy Thistle’ design is hand screen printed in Glasgow in greys onto a quality heather rose t-shirt with the Gillian Kyle logo embroidered on the hem.